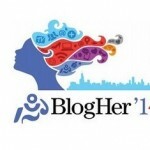 I leave for BlogHer in San Francisco; but once I start to imagine myself as part of this group, I realize I am missing the one essential accessory for a blogger: a laptop. I bought one several years ago although my son predicted I would never use it. He was wrong; I have used it. Twice. Like the majority of other electronic applicances I own, right now it’s dysfunctional. But I take it along and on my way out of town, I stop at Circuit City. I don’t know how I would exist without the help of the young kids who understand the mysteries inside everyday objects. No matter how many times I’m told, I cannot remember the amount of memory in my computer and whether it’s measured in bytes or bits or neither of those. Technology has transformed so radically that when I look around Circuit City, I barely recognize the words on most of the labels. When I ask for help, even I can appreciate how idiotic I must sound, and the guy talks to me like I might talk to a 4 year old. I know he is patronizing me but I don’t care. As long as he can help. Day One of the conference is over by the time I arrive at the hotel in San Francisco. Either everyone is busy blogging or tucked into bed. There is no offical welcome booth in the lobby and no information on the event. I couldn’t figure out how to register online from home, so I’ll deal with that tomorrow. Again a little wakeup call of how much the world has changed. Why should they bother printing out conference schedules when every blogger has her own computer in her hotel room? Well, I can play that game too. At least I try. And I do feel a sense of accomplishment when I get the laptop to work. However when I see the schedule, some of the blogging terms are so foreign to me that I have trouble understanding what some of tomorrow’s sessions are about. Still I am eager to learn a new language, and head downstairs bright and early to launch myself into the blogosphere. This morning the lobby is filled with bloggers and buzz. I look at all these young women with their nametags and laptops and their BlogHer ’08 totebags–excited that soon I’ll be one of them. Although in this group of 1000 I could be the only person who was alive during the Nixon Administration. I approach the registration desk. And the girl with the official nametag tells me that registration is closed. At first I think she is kidding. She’s not. Blogging is big business and the girl tries to make me feel better by telling me that I am not alone. 200 people are on the waiting list. Some are calling every hour to see if there has been a cancellation. Some other poor soul came all the way from Canada only to be closed out like I am. Helpfully the girl tells me BlogHer will be having smaller events in the near future–in places like Atlanta and Nashville. I don’t look any happier and now she looks at me like the guy did in Circuit City, only with far less pity than he had. Didn’t I know, she asks me, that they have clearly and repeatedly informed their members through electronic newsletters that registration closed two weeks ago when BlogHer ’08 sold out? I don’t bother telling Ms. BlogHer that I just became a member last night. And ironically I now realize that registration was closed before I even started blogging. No jumpstart. No crash course. No tote bag. I stand there facing the girl at the registration desk who is waiting for me to walk away. I think about the time, effort, energy and money I spent getting here. I think about the message from the universe that arrived directly from the worldwide web pointing me here. I think about how much harder it will be to learn about blogging on my own. I think of how my manic mommy episode almost derailed this trip—and that I am here because Daniel is working a cash register scan and not having a brain scan. What is blogging compared to blessings? I almost walk away at that point. But I still hesitate. I think about making an effort to persist and persuade. I think about all the obstacles I’ve moved when something stood in my way. I think about my years of TV reporting experience–when a few women with plastic badges could never have slowed me down even when a door was slammed in my face. I think about all of that. And then I leave the hotel and walk across the street to Neiman Marcus. This one helps me identify your unique place in my life, and here’s how. I laughed out loud when I got to the Neiman Marcus punchline, and immediately wondered who I should share this one with–it’s too good to be kept to myself. But as I did a mental roll call of my friends and relatives, I couldn’t think of anyone. Sure, I have my Neiman Marcus-y friends, but they don’t purport to be interested in anything as time- , brain- and energy-intensive as blogging. And I have my blogging-type friends, but they wouldn’t be tickled by the punchline. Whether I’m right about my friends’ interest, or lack thereof, is less important than this: You are sui generis in my life, and I love what you bring to the party. Deborah–you are the best–for this comment which I hugely appreciate—and for the other ones especially the story on the hot fudge sundae. I only have to ask one thing since unlike you, I don’t have a law degree: what is sui generis??? Is that some kind of dessert I should know about???? Your comments are so brilliant I think you need to start your own blog!! Holy cow! I can’t believe you went through that. UGH!!!! OK, I feel a little better about my own fears.